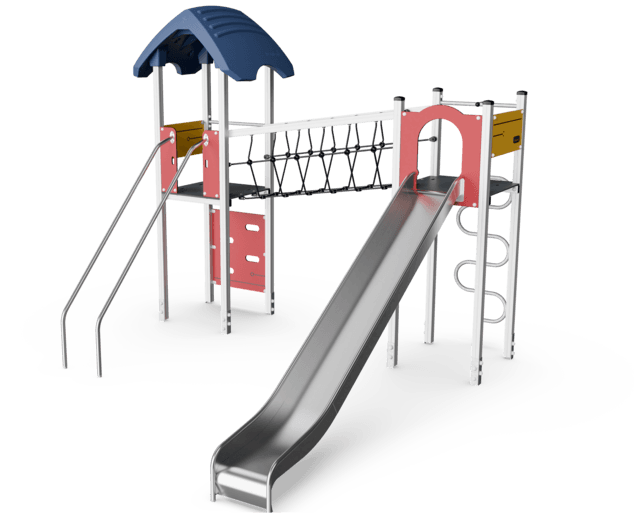 Children will never get bored with this double play tower. 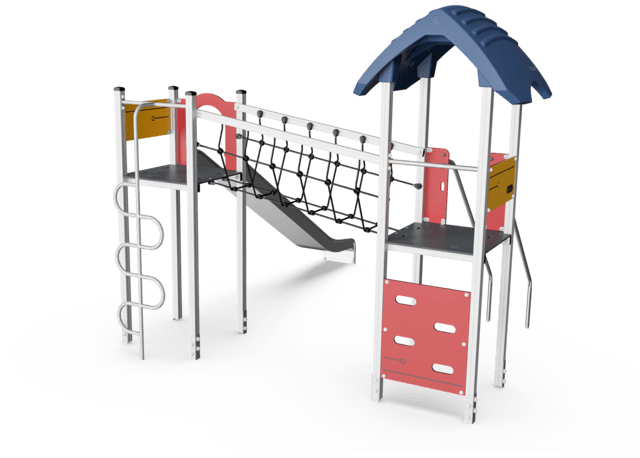 This unit offers a variety of physical challenges. 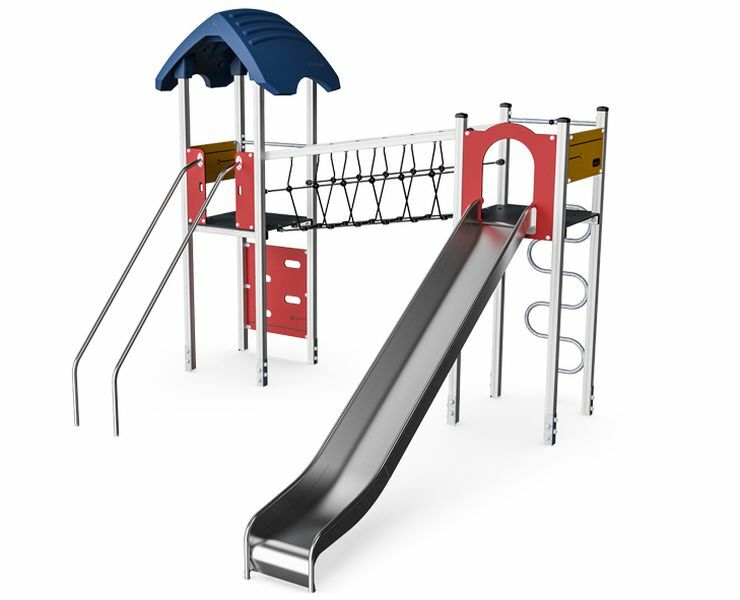 The child can take the way up to the two platforms via the climbing wall with step holes or the climbing pole. From the two platforms a classic slide ride or a glide down the dare devil Banister Bars are fun ways back to the ground. The two towers are bridged by a wobbly plank bridge that takes a lot of concentration and demands a good sense of balance.